Indie studio Hello Games has released a day one patch for its massive new space survival game, No Man’s Sky. The 824MB update for PS4 which is now available changes a lot of things that affect gameplay and the environment – including expanding the universe. For starters, there are now three unique story paths, and the choices you take early on in the game will impact what you encounter as you go along. 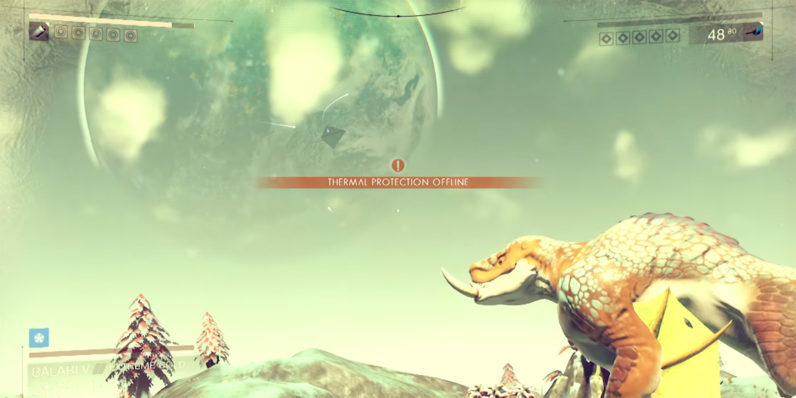 In addition, the universe generation algorithm has been updated to ensure players experience a greater variety of planets and creatures earlier than before. Hello Games’ managing director Sean Murray said that galaxies will now be up to 10 times larger. The patch also increases the diversity of ships and creatures on planets, as well as more variance in the skies as they cycle through day and night. Plus, you’ll be able to build bases and own space freighters. There are loads more changes to things like the combat system, inventory, upgrades and graphical effects. Murray noted that this massive update is just “the first of many” and the company hopes to continually add to the game in the future. That should spell a long lifespan for this title, similar to open-world blockbusters like The Elder Scrolls V: Skyrim and GTA V. If you’re itching to try it, No Man’s Sky is now available on PS4 and is expected to arrive for PC on August 12.